During the IAAF World Championships, coaches gathered for the 3rd World Coaching conference. Although it was very disappointing that so few South African coaches attended the four days, (sprint coach Hennie Kriel was one of the few exceptions to not only attend, but participate), there were many gains to be had from the presentations. The congress adopted a much more athlete centered approach, with medal winning marathon, javelin, and pole vaulting athletes and their coaches being present to turn the theory, science and idealism into practice. Many could have gained from this: Marathoners learning from throwing since and strength building, Sprinters learning for a greater need for endurance, and marathoners needing greater strength and speed techniques, and the need for posture, structure and balance underpinning all….. 4 days of greater exposure and learning, and the way forward for IAAF development and coaching departments but this is only the start of a change in philosophy by the IAAF leadership. IAAF President Seb Coe, opened the 4 day congress, by explaining why it is the coach / athlete combination that is vital to the sport. 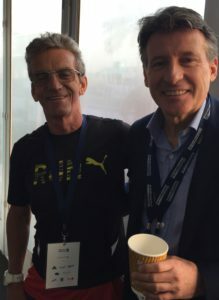 Why this must be the key focus for the IAAF as long as he is President and the impact the coach has not simply on the athlete and his or her performance, but also in the development of the human being. The evolution of the administrative structure must place the emphasis on coaching and performance. The 2017 World Championships were the first time that not only the top 3 athletes received Gold Silver and Bronze medals, but their coaches also received corresponding medals in recognition of their contribution to the performance. its is very clear the IAAF are serious about the personal coaches: It is to be hoped that SA Federations will see the logic of this viewpoint, and find better ways to treat, respect and reward the coaches. Do coaches coach to be recognised? How many people knew who the coaches of Carl Lewis, or Usain Bolt were? Caster’s, Akani, Day Walker Shange, and others coaches remain unknowns – Wayde’s coach only really gained media status due to her age…. Coaching is a science, an art, a relationship, and …. a Calling more than anything else. 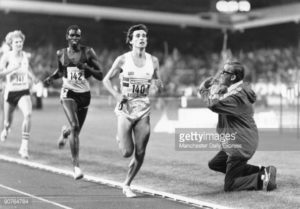 Coaching is not about handing out physical training programmes, its about a holistic approach that involves the complete athlete / runner and hence the relationship that Peter Coe stated was sometimes harder to be a coach than a parent. Yes the recognition of a medal by the IAAF is a major step, but notice these are not (to best of my knowledge) presented in public, but behind the scenes… Many of the truly Top coaches are not comfortable in the limelight. Perhaps what we are really asking for is not so much the recognition but the support from the athletics structure? that for me would be far more powerful. Who are the best coaches? 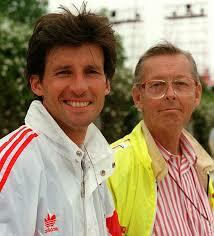 Are coaches who assist athletes to medals the best coaches? I firmly believe that having a medal winning athlete, (at various levels), does not make you a great coach, or the best coach in an event: Just as NOT having a medal winner at championship, does not make you a bad coach! A good coach (for me) is someone who can get a runner / athlete to be closest to their potential given the circumstances, resources and ability…. It doesn’t matter what level they are competing at- How close can you get that person to achieve their very best? There are lots of good coaches out there who will never see a major championship – but achieve wonders with their athletes..
perhaps you agree – perhaps you disagree — Views will differ, but we do need as a sport to review where the focus of our sport is – and make sure its on “Performance” with the coach/athlete combination the key to unlocking the best performance a person can achieve!